Yes, the strike is still on and back to school might not happen in BC immediately but it is inevitable and so is the spread of colds, flu and other fall and winter time maladies. Consider ordering Influaforce from BioActive Nutritionals to act as a homeopathic way to prevent the flu. It’s used instead of flu shots for those of you that recognize the dangers of vaccines. Also, remember that Vitamin D is an integral part of keeping healthy all year long but particularly in the months when the sun takes a vacation. So Bio D Mulsion Forte is a highly absorbable way to get Vit D.
Astute parents likely sound like broken records, telling there kids to wash their hands…trying to instill in them that it prevents sickness. Once back to school, the hand washing likely goes out the window so to avoid and deal with those issues like ear infections, colds, flu, coughs and fevers if they occur, keep these protocols in mind to get everyone back to normal as quickly as possible. 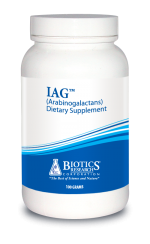 Keeping some IAG powder (easy to give to kids) on hand is a great way to start helping right away. 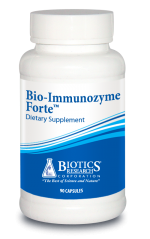 Bio Immunozyme Forte can be used like a multi vit during fall and winter to keep immune systems humming! These protocols are all Biotics Research products. *Double the amount for older children. *Reduce protocol by half for infants less than 6 months of age. *Same protocol at double the dose works well for fevers in children. 10-20 drops Super Phosphozyme™ Liquid as needed to control vomit response. Our fingers are crossed that you don’t need any of these protocols. However, if you do at least you’ll have them accessible. If you are unsure, bring your kids in for a check and scan. We recognize that some of these protocols are lengthy. Best to ask us what is most important in each individual case. This is just a guideline. Here’s to beating the snot, ear aches, sore throat, coughs, and fevers this back-to-school season! Modulates and optimizes immune function to increase natural killer (NK) cells for chronic bacterial and viral infections.